Home / Convert String DateTime to DateTime in SQL Server? 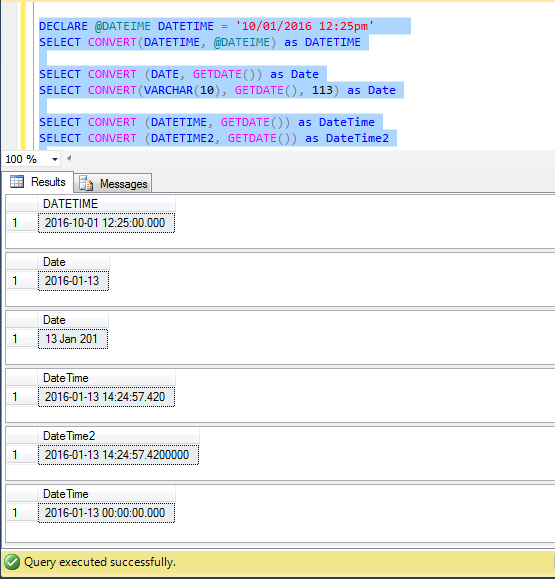 / Convert String DateTime to DateTime in SQL Server? Convert String DateTime to DateTime in SQL Server? Hello everyone, I am going to share the query sample for convert string date-time to date-time and also use of various types of convert in SQL.